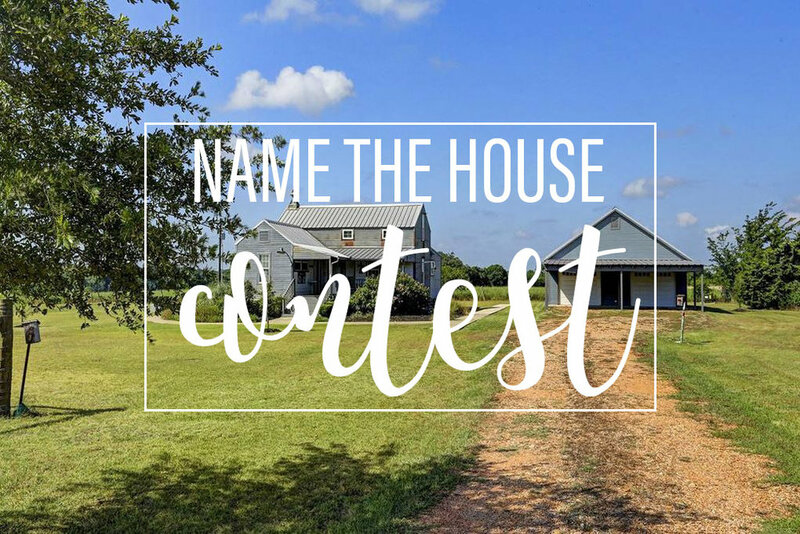 Help us name the Round Top Farmhouse! Submissions will be accepted ONLY on Instagram or Facebook (links below) through Thursday, November 16th at 11:59PM. Winner will be announced Wednesday, November 22nd. Two day stay in the house is complimentary. All travel & other expenses are not covered. Travel dates are flexible, and will be determined at a later date. The house is composed of tin sheets. It was originally named Farmhouse #6. Round Top is in a valley in South Texas. A small town of only 100 permanent residents. It is the site of one of the largest antique and vintage festivals in Texas. Good Luck! Get those creative juices flowing!